Citrix have released this Performance Benchmark Report where Citrix demonstrates how powerfull Citrix Branch Repeater is combined with XenDesktop / XenDesktop. ** Note that the results is made with Branch Repeater v. 5.7 and the current version thats out is v 6.0.5 so with latest Branch Repeater + XenDesktop 5.6 and Receiver 3.2 you should get even better results. Desktop virtualization has grabbed the attention of the global IT community like never before. Server and desktop virtualization let IT simultaneously offer lower costs and greater access to the employees. 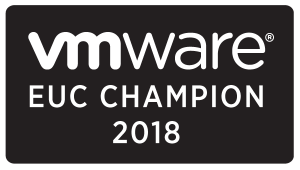 The Bring Your Own PC (BYOC) movement, along with technologies such as XenDesktop and XenClient provide an opportunity to use any device – even computers owned by the employee – and work on the corporate desktop from anywhere, anytime. The convenience and cost benefits of “work-shifting”come with its own set of challenges for corporate IT—two of those being security and user-experience. A significant number of remote users access virtual services from insecure locations, such as coffee-shops, airports, hotels and homes. These internet connections often have lower speeds, higher latency, and packet loss. Citrix XenDesktop and XenApp use the HDX™ technology to ensure high definition user-experience, no matter where the user works. HDX WAN Optimization powered by Citrix Branch Repeater and HDX SmartAccesspowered by Citrix Access Gateway are integrated into the XenDesktop solution. 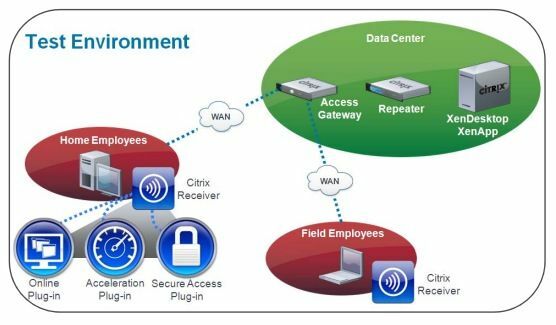 Using the Repeater plug-in together with the Access Gateway plug-in, mobile users enjoy accelerated, secure remoteaccess to XenDesktop and XenApp. This paper describes the enhanced experience enjoyed with this “turbocharged Citrix” environment. Users see up to 160% faster transactions, making them more productive and enhancing the LANlike experience when working remotely. The results also show up to 84% WAN bandwidth savings to run the ICA protocol. For users on pay-per-use plans, this brings down the volume of data passing over the WAN and dramatically lowers their monthly Internet bill. At the datacenter end, lower consumption per user means existing bandwidth easily accommodates more users on to the network, without incurring additional service provider costs. The test scenarios and use-cases simulate the common tasks performed by remote workers, where significant data is required to traverse the WAN. Workers outside the branch often work where WAN conditions have low bandwidth, high latency, or both (such as home DSL, 3G, wireless cards or Wi-fi). These tests demonstrate the bandwidth and time savings for such users, ultimately leading to greater productivity and excellent returns on investment. For each of the following tests, the Baseline represents native ICA performance with Branch Repeater acceleration turned off. The tests are repeated with Repeater plug-in enabled and WAN acceleration turned on. The comparative analysis is performed on the warm run figures from both tests, i.e. the devices under test have seen the data at least once before. In every case, the Access Gateway VPN was established before passing any traffic. QuickTest Professional (QTP) from Hewlett-Packard was used as the automation tool. The workflows were scripted into QTP installed on the desktops-under-test. 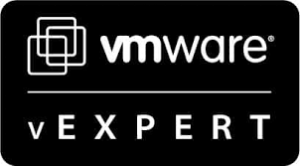 To combat the challenges presented by the WAN, Branch Repeater incorporates Citrix HDX™ WAN Optimization technology to adaptively orchestrate with XenDesktop and disable the native ICA compression used for optimizing single-user sessions. Branch Repeater then optimizes XenDesktop delivery by compressing and delivering only new data transmissions of commonly accessed data such as bitmap graphics, files and video, thereby dramatically accelerating XenDesktop user experience for remote users. Optimizing ICA over SSL VPN with Branch Repeater has a direct impact on productivity and efficiency by reducing time taken to complete common tasks. The results showed maximum Branch Repeater benefits for those jobs where native ICA delivery usually takes the longest time. There is no time-saving on interactive workflows because they are in real-time. The WAN optimization benefit is a smoother user-experience, richer screen resolution and more responsive keystrokes in the same time, compared to baseline. The test results prove bandwidth savings while accelerating ICA over SSL VPN with Branch Repeater compared to native ICA compression as the baseline. On interactive workflows, ICA dynamically lowers screen resolution and amount of data it sends over congested bandwidth. With Branch Repeater in place doing compression, ICA is able to maintain high definition user experience even while same or less amount of bandwidth is used. On the non-interactive workflows, the bandwidth savings are significant because the data is served from the local history. An instance of QTP was run on the Windows XP client. The QTP script was configured to start Internet Explorer, navigate to the Access Gateway authentication page and launch the virtual desktop. The script also recorded the time taken from clicking the XenDesktop icon postauthentication till the point where virtual desktop was available for user input. Finally, the script took a snapshot of the Linktropy emulator statistics to learn the bandwidth used in this activity. The same workflow was repeated both in accelerated and non-accelerated mode (i.e. with Repeater plug-in disabled on the XP client). The test results reveal that with the Branch Repeater enabled, subsequent logins take 53% less bandwidth. While it takes approximately the same time to login, with or without the Repeater plugin, the bandwidth reduction indicates more simultaneous user-logins will be supported with the optimization in place. The test stresses the ThinWire virtual channel of ICA and measures the performance improvement on interactive workflows that use this channel. While the test used Web browsing as the sample usecase, the ThinWire channel is also used for other interactive flows like keystrokes, mouse movements and screen refreshes. The script itself was quite simple: scroll through multiple richmedia websites like Amazon, Google maps, CNN and MSN from Internet Explorer installed on the XenDesktop. The script was designed to allow each page to fully load and interact with the client display at the other end of the WAN link before viewing the next site. The script ran for a constant amount of time, both with and without the Repeater enabled, so there is no “time saving” recorded. However, bandwidth consumption is recorded since any reduction in bandwidth has a direct impact on scalability and the number of users that can be supported on the same WAN. Another test that stresses the ThinWire virtual channel of ICA and measures the performance improvement is the PowerPoint slideshow. Here again the script tests the ThinWire interactive virtual channel for bandwidth saving on keystrokes, mouse movements and screen refreshes. The QTP script itself was quite simple – navigate to a PowerPoint presentation at the datacenter file share and start the slideshow. The test results reveal that with Branch Repeater enabled, 23% bandwidth reduction is achieved even as the quality of the presentation is ‘richer’ than before. The test involves measuring performance while playing the video from the virtual desktop (XenDesktop). The video used for testing is a standard Microsoft Windows Media sample high definition (HD) video located at the datacenter. Video is one of the most common ways organizations share information with their employees because it provides a rich and engaging medium for communicating corporate announcements, delivering training and exchanging information. Repeater plug-in enhances the user-experience! The test results reveal that without the plug-in, the playback took 117 seconds to complete and the video was choppy. The same video took just 48 seconds with the WAN optimization turned on, thus completing 154% faster. In this workflow, QTP script navigates to the local C drive (client mapped drive, automatically labeled “V:” by XenDesktop) and opens a Microsoft Word document. Next, a series of consistent changes are made (new text copied/pasted) to the document. The edited document is saved back to the local device. This changed document is reopened by the script to complete a full iteration of this test. The amount of time taken and the bytes traversed in each step is measured by the script, with help of checkpoints (to measure time) and WAN Simulator reports (to measure bandwidth used). The test is repeated, first without the WAN optimization, then again with optimization enabled at the client. The user experience is much better than native ICA. Where the latter took approximately 115seconds to open the edited Microsoft Document, it took just 71 seconds to open with Branch Repeater enabled. That is almost 70% faster! In this workflow, a 20 megabytes folder is copied from the datacenter file share to the local C drive of the client device (automatically mapped client drive, represented by “V:” in the test desktop). Users that need to work with data stored centrally in the cloud and then take that data offline, maybe for a presentation or work from an offline location (such as an airplane), stand to benefit immensely from optimization of this workflow. The test results reveal that the baseline file transfer, using native ICA compression, takes approximately 210 seconds for a 20 MB folder. The same test completes up to 24% faster with Repeater plug-in enabled, taking just 168 seconds. File transfer between the virtual desktop and local desktop saves up to 72% bandwidth with Repeater plug-in enabled. In an era when teams are increasingly virtual, mobile and remote workforces are on the rise, and users have moved further and further away from their data, a proven remote access strategy is a must have for any organization. In parallel, organizations are asking their employees to be more versatile, increase productivity and reduce expenses. Together, these trends have driven secure remote access via the Internet into the limelight as one of the most important links into and across an organization. Turbocharging secure Citrix XenDesktop addresses the forces being exerted on the organization, the IT department and employees. Access Gateway is an industry leading SSL VPN offering unparalleled access to user data, applications and Citrix Delivery Center. 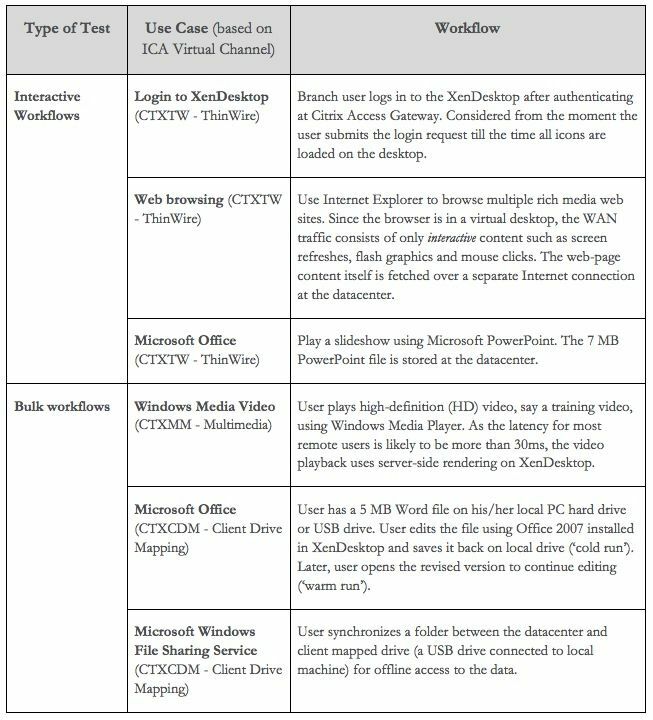 Citrix XenDesktop is a desktop virtualization solution that delivers Windows desktops as an on-demand service to any user,anywhere. Citrix Repeater improves this experience by accelerating traffic over the slow WAN links to create a fast and responsive LAN-like connection. 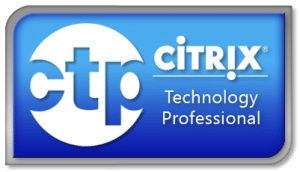 Citrix Repeater can also extend its reach out to remote or mobile users with the addition of Citrix Repeater plug-in. Only Citrix offers such an elegant and integrated solution with the Citrix Delivery Center. The increased WAN throughput on existing bandwidth allows IT to add more users without adding costs. The faster and more optimal user experience reduces helpdesk calls, indirectly adding to organization savings and success metrics. With optimized XenDesktop and XenApp using Repeater plug-in, users can get more done and are more productive. Remote and mobile workers can perform their daily work with efficiency that rivals that of office workers. XenDesktop was used for the purpose of testing ICA acceleration. The test results apply to both XenApp and XenDesktop, because the underlying ICA protocol is the same. The datacenter was secured using Citrix Access Gateway to terminate the SSL VPN tunnel. The software plug-in for both Access Gateway and Branch Repeater were installed on the client machines. 128-bit SSL encrypted tunnel after being optimized. Apposite Linktropy 4500 was used to simulate the WAN conditions. Test automation was done using QuickTest Pro from HP. Quick Test Professional (QTP) from Hewlett-Packard (HP) is an automated functional Graphical User Interface (GUI) testing tool that allows the automation of user actions on a web or window based computer application. The testing is automated using QTP, which helps in accurately reproducing test scripts to simulate the selected workflows. The scripts measure the amount of time it takes to complete a workflow and captures screenshots of the Apposite WAN simulator to record the amount of data sent across the WAN. The scripts allow us to replicate the user actions with optimization turned on and off, increasing accuracy and efficiency of benchmark testing.